Cape Town – If Test cricket is a threatened species from a gate-receipts point of view, somebody keeps forgetting to tell the spectators at Newlands. Despite the limited appeal on paper of the current, crisis-torn New Zealand team, some 40,000 people attended the traditional New Year Test, even as it ended with an innings victory for South Africa before tea on Friday’s third day’s play. Clearly buoyed by the atmosphere the scenic ground unfailingly generates, the Proteas have now won seven of their last 10 Tests at the venue, with three draws. Even the day three crowd exceeded expectations, considering that there had been the possibility in overnight thoughts of the smooth-firing, No 1-ranked South Africans wrapping it up well within the first session. The gate also wholly justified Cricket South Africa’s decision to stage two 2012/13 Tests at Newlands: it will also host Pakistan in the second of three Tests between February 14 and 18. 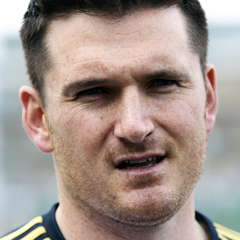 “It’s outstanding ... for us (the New Year fixture) is the marquee Test of the South African summer; we love coming here over this time of the year,” Proteas captain Graeme Smith enthused to Sport24 at the post-match press conference on Friday. “The people coming through that door ... it’s special for us. We spent 12 months on the road last year and you catch a few fans here and there who have travelled and are supporting you, but you are kind of removed from what people back home are feeling and experiencing through those series. “So to come back here and for Cape Town to give us the turnout and energy that they did for us is an important thing; that people are caring about what we’re doing. “I think if there’d been another day or two in this Test the (attendance) would probably have been the same. Beaten captain Brendon McCullum joined the chorus of praise for the turnout, despite the one-sidedness of the first contest in favour of the host nation. “It was a real treat ... we don’t play in front of (such full stands) very often in Tests. Newlands is a special place and it’s a friendly crowd, too. Smith also defended the pitch provided, bearing in mind that Newlands has now produced two Tests in the last three where one of the full innings has not even reached the 50-mark. “I don’t think it was a bad wicket, actually. Newlands usually has a bit of moisture and does a bit on day one – maybe it was little more than normal. “But in the past Newlands hasn’t always deteriorated as much as people expected it to. Teams have (occasionally) batted out day five successfully ... this one might have offered a bit more by that stage in terms of variable bounce and maybe some spin. He said he was a little surprised that opposite number McCullum had opted to bat after winning the toss, a decision that proved utterly disastrous as the Black Caps were rolled out in 19.2 overs. “Look, I’ve also been caught a few times in that 50-50 situation at toss-time. The confident decision obviously is to bat, you know.